Our consultant Aleksandra Novikova now in Italy You can reach her by phone +393470661684. Spain is today one of those regions of the Europe where acquisition of habitation of almost any type becomes shortly the serious investment. Every year its cost grows and having enclosed now, you do a serious reserve for the future. The company Real Estate In Spain suggests you to buy real estate in Costa Blanka or in the most perspective holidays place in Spain. These regions enjoy wide popularity of tourists from every corner of the globe. Real estate purchase here becomes good acquisition for its owner. Our company is glad to offer you the services in this point in question decision. Sale of quality real estate of all types of construction at the most attractive prices – that allocates us among other participants of the market. It is promoted by set of factors, among which: a work wide experience, high professionalism of collective, work directly with builders (and as consequence direct sale of habitation without any additional commission gathering). Cooperating with us, you receive quality service at is minimum possible prices. 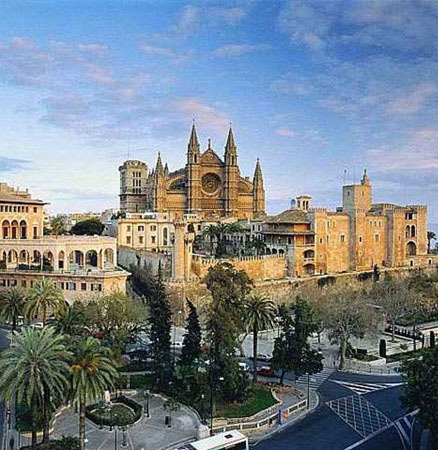 The inexpensive real estate in Spain is not the unique reason on which here thousand tourists annually gather. Small on the area, but very attractive landscape makes you stay here for ever. It is the piece of Paradise, a soft climate, the wonderful nature of the Spain and the most beautiful Mediterranean Sea and friendly local population. Our company suggests you to test all it on itself, and at the same time and to get here real estate. Denia or Benidorm or Altea is an ideal variant for carrying out summer, and also spring rest. Having holidays here you can do it this often than in usual routine when you have to think about booking hotels and the high prices which would be offered at this busy time of the year. To buy it is absolutely simple, if you address in the correct company. We offer you a full spectrum of services in the real estate market. Country houses, apartments, houses, the diversified apartments – in our catalogue we have a lot of choices and you for certain will pick up something what you like. The price for real estate in Spain which we offer, certainly, will please even the most economical buyers. Working directly with builders, we have possibility to do its as much as possible low. Thus it is necessary to notice that the price for habitation in Spain, whether it be cost of apartment, house or a magnificent country house, has an annual tendency to growth. Your acquisition becomes the excellent investment. You will receive all necessary consultations and can pick up ideal property for you.